maple and shade: Wallet-worthy: summer sandals. If you're anything like me, you're more than ecstatic about freeing your toes from winter socks and shoes and running around town in some saucy sandals. 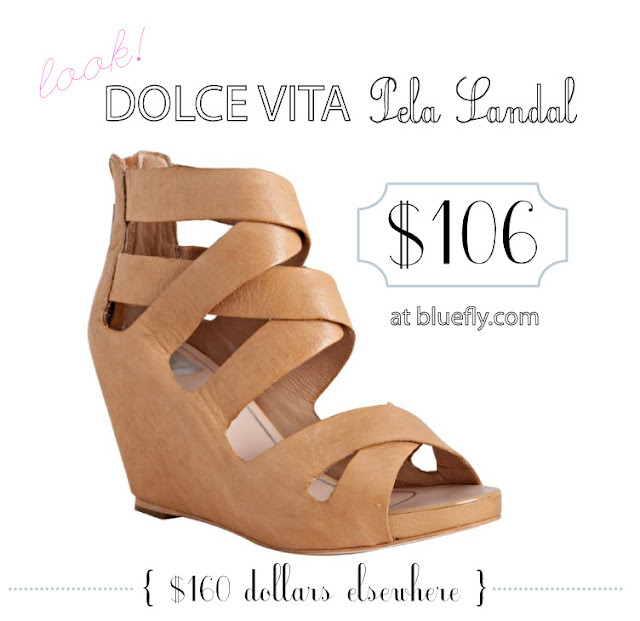 I've been on the hunt for the perfect wedge for about two years now and finally found just what I was looking and hoping for: Dolce Vita's Pela sandal. The only downside? They're a bit pricey--at least for my wallet. But, being the bargain shopper that I am, I decided to do some sale-searching, and voila: bluefly.com had a deal worth jumping on. Yes, friends, the Pela is only $106 when they retail everywhere else for $160 to 180. Thought I'd pass those savings right along to you lovely readers. ENJOY. Your wallet (and toes) will thank you.